Whether broken or stolen, keys will cause serious problems. Whether damaged or jammed, locks will question your security. When you encounter such issues, get in touch with our emergency locksmith in White Rock, British Columbia. The time of our response is rapid so that you won’t have to deal with more security problems. Need emergency lock change or repair? Locked out of your vehicle or apartment? Count on Locksmith White Rock. We are mobile, quick, efficient, and 24/7. What makes properties vulnerable is worn locks. If burglars can kick down the door or easily break the lock, there is no protection. Each door and window must lock well. If not, call us. Did you try to lock the back door of the house but the key just turns in the lock? Did you try to put the key in the office lock but it won’t go in? Call us. We have a fast team at our company in White Rock and provide quick response assistance. 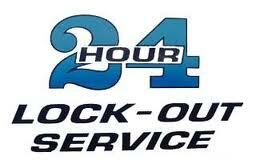 As a 24 hour locksmith, we are able to fix or change your locks any time during the day or night. When it comes to lockouts, we respond 24/7. But our 24 hour experts will also help you urgently when the house or office doors cannot lock, the key breaks, or there has been a break-in. Lost key? Contact us 24/7. We provide lock rekey urgently in such situations. If you don’t change the key and the pins of the lock immediately, someone might use the key to intrude. Locked out of your car? Whether the transponder key fails to open the door or is lost, count on our quick car lockout We open both car doors and trunks, fix ignition problems, and replace the key. Count on our White Rock emergency locksmith experts when your security is compromised or questioned. Call our company 24/7.